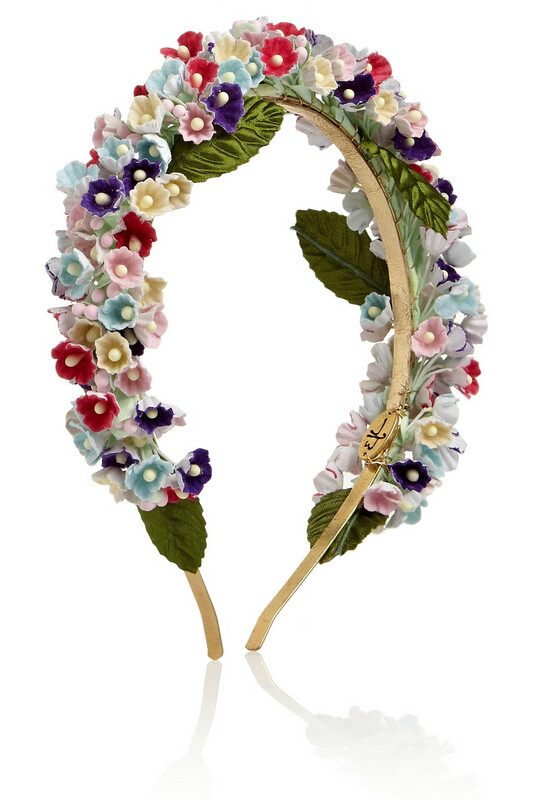 Beautiful finishing touch to your look, this floral headband by Eugenia Kim is a vintage-inspired gem! Available online through Net a Porter. This entry was posted in Accessories and tagged Eugenia Kim, floral headband, Net a Porter, Sylvie floral headband. Bookmark the permalink.